Unbelievable, it still has not sunk in properly. I didn't even think I was up for any award, so it just shows how much attention gets paid to all our cars behind the scenes. There are so many lovely cars on here, I feel very honoured to have been picked for COTM. 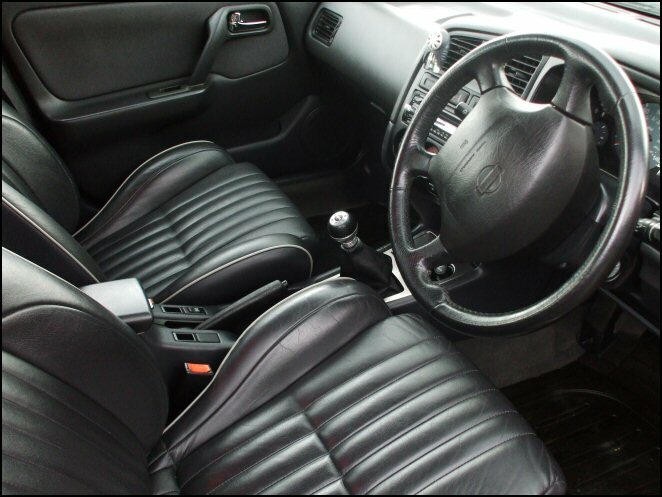 Before we take an in depth look at the Primera, we�d all be interested to know about the owner of the car! Please tell us about yourself and what you get up to, away from the NPOC. I�m married to Mandy and have got 2 grown up children. Andy is 25 and you've probably seen him in some photos of the meets I�ve been to and Joanne who is 21. I have 3 grandchildren and 2 more on the way - I find it hard to keep up sometimes. I work in the printing industry as a machine operator, which I have done for most of my working life. My other baby besides my car is Shadow my German Shepherd. He's just spot on and a real mate. We had to put our other German Shepherd Lady to sleep a few weeks ago and we have still not got over that yet, she was 11 and it was very sudden, poor thing. Shadow seems to be adjusting well now though. I like walking and cleaning my car LOL and a bit of gardening, not too much mind. How did you find the NPOC forums and are we any good? I heard about NPOC from the guy I bought my GT from. He mentioned try this site for how to reprogramme the key fob, which I did and never looked back. I think NPOC is a really informative site and really friendly too. It�s never failed yet to give me an answer to my questions. So to answer your question, it�s bloody brill! You renewed your yearly �15 membership to the club in May 2009 and then 6 weeks later decided to step up to Elite Membership at an additional cost. What was the reason behind that? Well I�ve had so much off you guys, information, selling, buying, stickers etc, I decided to give you some back. Mandy agreed with my decision and with that, I got in touch and sorted all the details out, plus I really wanted to know what was being said in the Elite Members section LOL! Let�s face it, �4 a month ain't gonna break the bank. I think it�s worth every penny and also pays dividends when going to meets, so really it�s not costing that much is it! 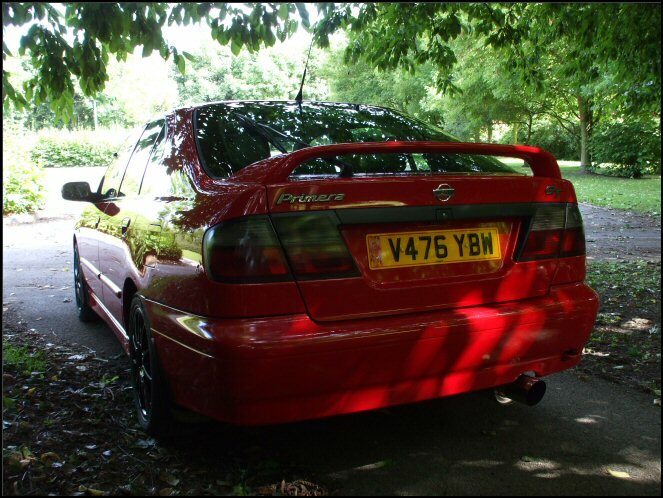 Is this your first Nissan Primera? If not, how many have you had previously? 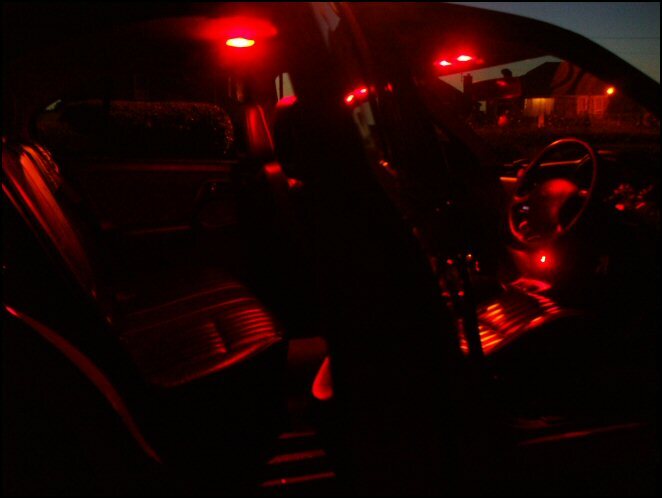 If it is your first one, what made you decide on the purchase on get behind the wheel? No this is my second one. I had a silver P11-144 before the GTLE, top spec, all leather, VT6 and only done 36k when I sold her. It was a really nice car but my circumstances at the time meant I had to sell her. 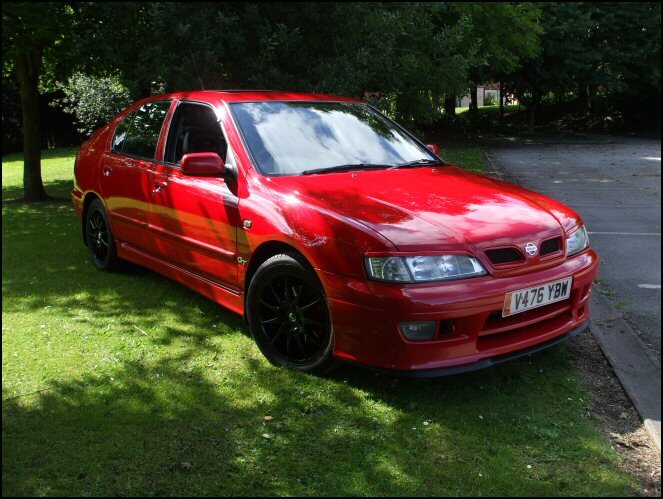 I was gutted as well and vowed to have another Primera. 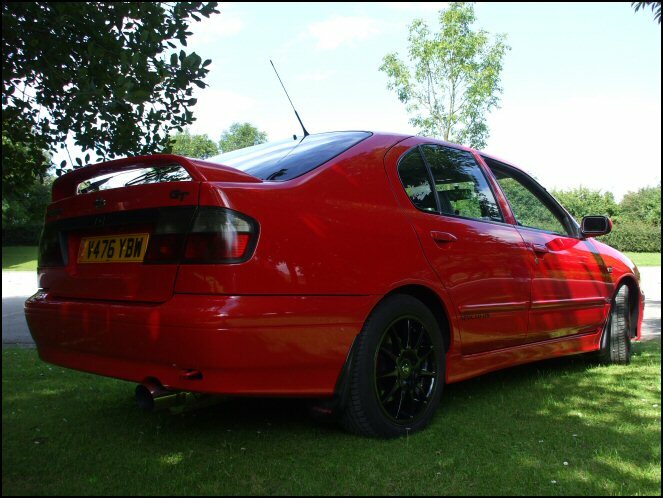 When we first saw your car photos, there was no doubting you owned a cracker!! How do you keep it that clean and shiny? I don't know really, I just wash and wax the arse off it. 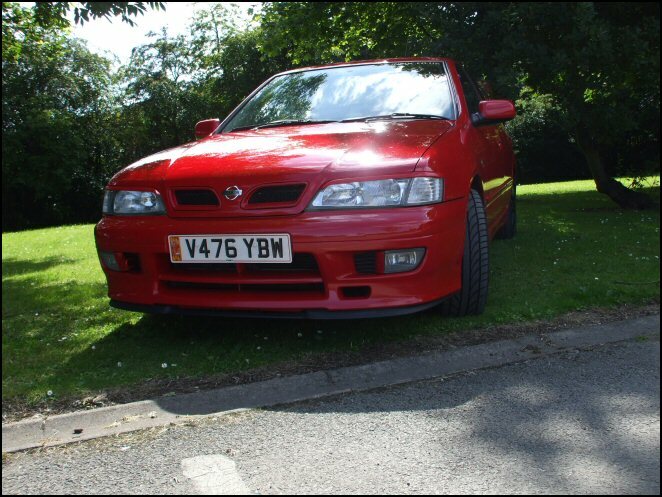 No seriously, I think cos it�s red it looks pretty clean most of the time but I must admit I don't like it when it�s dirty. I love the looks it gets when it�s all nice and clean. I�m not a clean freak but I do like to keep my baby looking nice. 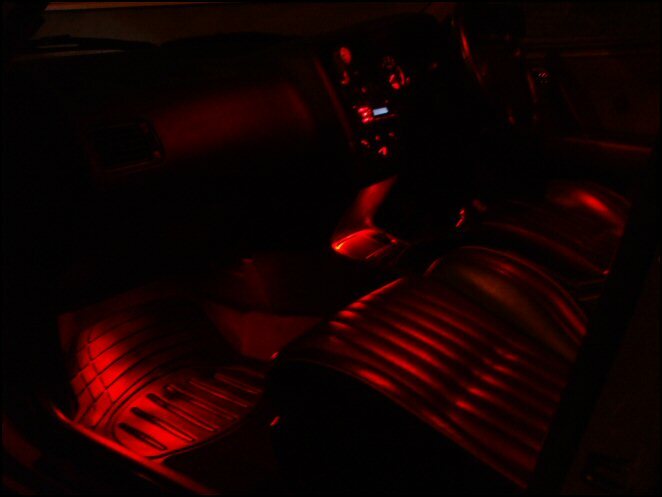 You kept the car fairly standard for a while but bit by bit, it�s been evolving! Did you catch the modifying bug? Yep I certainly did, it�s so easy to say I�m not touching it but its bloody hard not to. Mostly cosmetic at this time but watch this space. 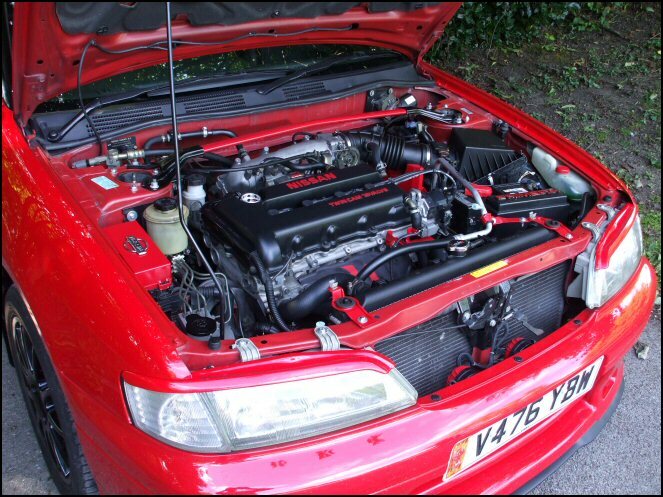 Do you have a history with modifying cars? What's been the best change you�ve made to your GTLE so far? Tough one this.. I would say under the bonnet. 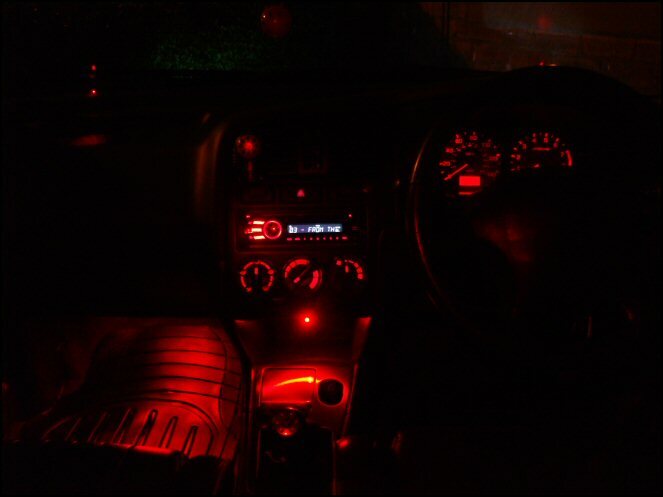 The way it looks at the moment is pretty good I reckon and not too over the top but I also like the speedo LED's at night, they are awesome. 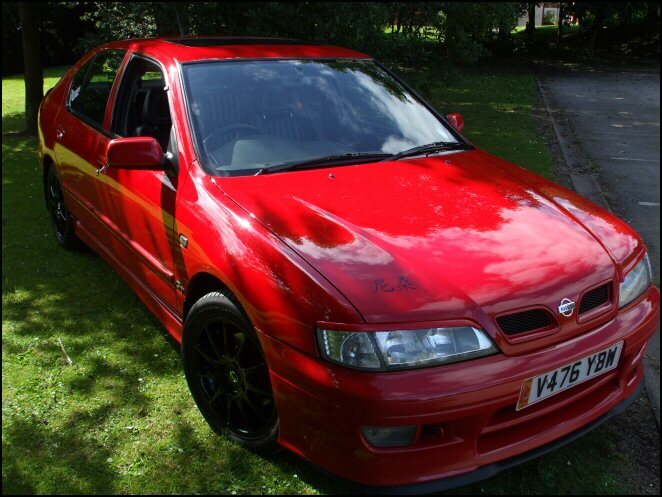 Are you spanner handy or do you leave the Nissan Primera in the hands of qualified mechanics? I am pretty good with a spanner unless it�s really technical, then I leave it to the big boys. I do my own servicing etc but depends what it is really. You�re one of the older members on here, if you were a young �twenty something� again, would your GTLE be any differently modified to how it is now? Thanks, I feel great now LOL. My mind is still twenty something, it�s my body that�s knackered. I think if I was 20 years younger I wouldn't be so keen on the cleanliness of my car, I would concentrate more about getting it to go faster and race everything in sight. If money was no object, what plans would you have for the car? A few things really. 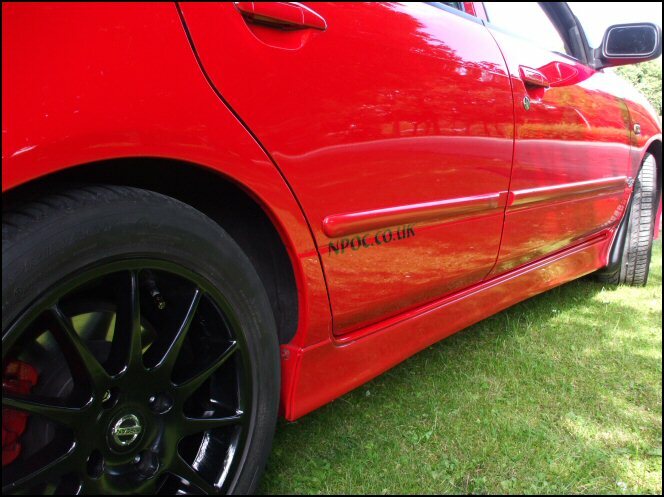 Some Wolfrace Aguri alloys would be on my list, I love em. I Might drop it some but got to be careful round here, bloody speed bumps everywhere. Those would be my 2 main ones and then just little touches here and there. Tell us your favourite NPOC car? � This is a tough one.. I would say Paul�s (Quaily) Black Beauty, just for how much bloody cleaning he does and he did fist my 4" at Thoresby. 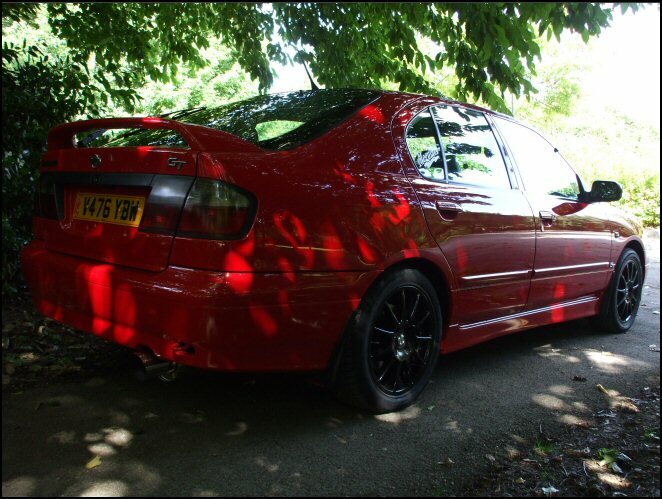 It�s a truly lovely car and all credit to him. 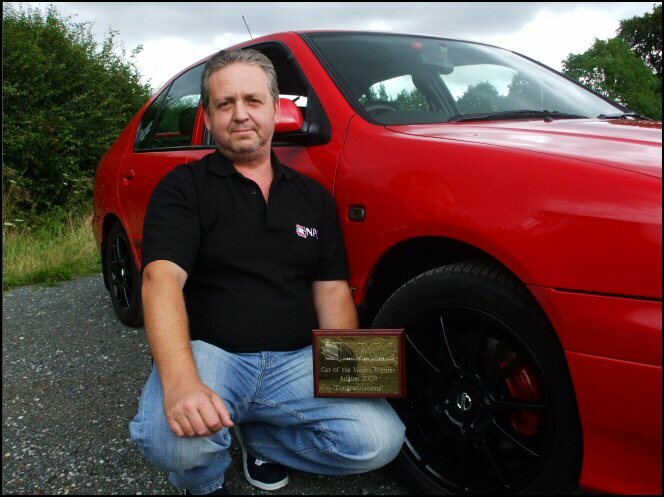 Are you looking forward to JAE 2009 and rocking out with your club members and do you think your car will be bringing home any more goodies for the trophy cabinet? Yes I am really looking forward to it, I�m driving the missus mad cos I never shut up about it. It�s the first one for me, so it�s all new but I�m sure we (me and my lad), will enjoy it. I really do hope I can win some more trophies, I would be so proud if I did. I will be buffing from morn till night! 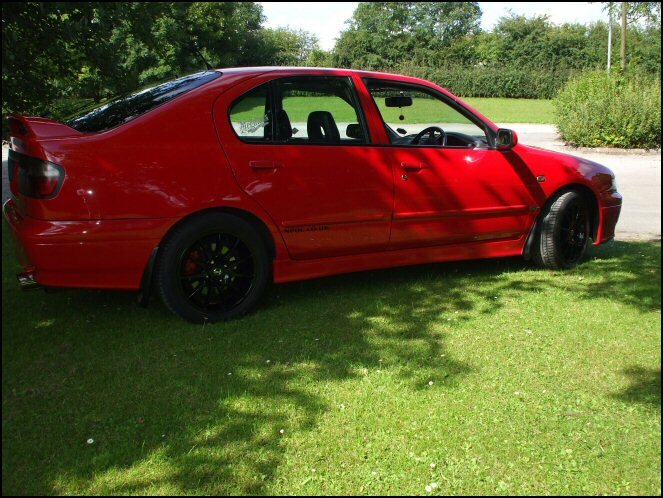 Many thanks for telling us all about you and your Nissan Primera Vince, you and your car sit very comfortably with previous winners! 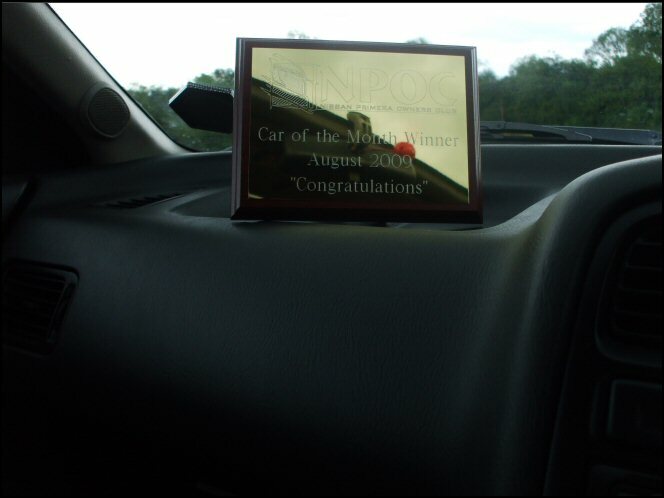 Congratulations once again for winning Car Of The Month for August 2009! Please end the feature, with your thanks and any shout outs to all who have made this one possible. 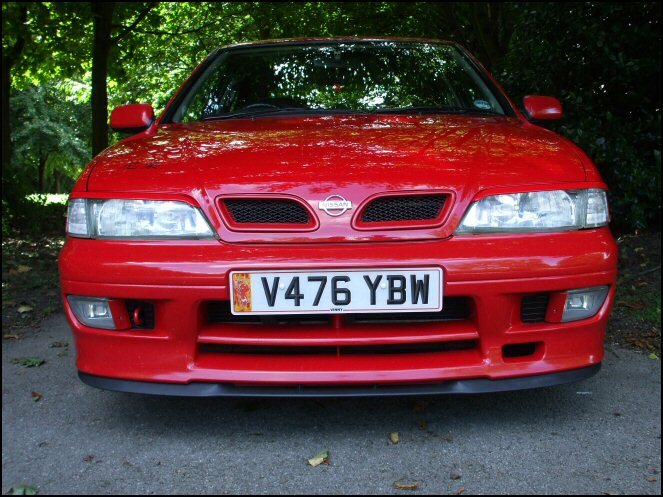 Just like to say thanks for a great site and all who have made this possibly one of the greatest car clubs out there. Thanks to all who have helped me during Club Meets, advice and mp3 players etc (Daz). The Club Owners and Staff Team, you do a great job, keep up the hard work guys. Thank you for this award it means so much to me, Mandy says she will find a special place for my trophy (bless)! 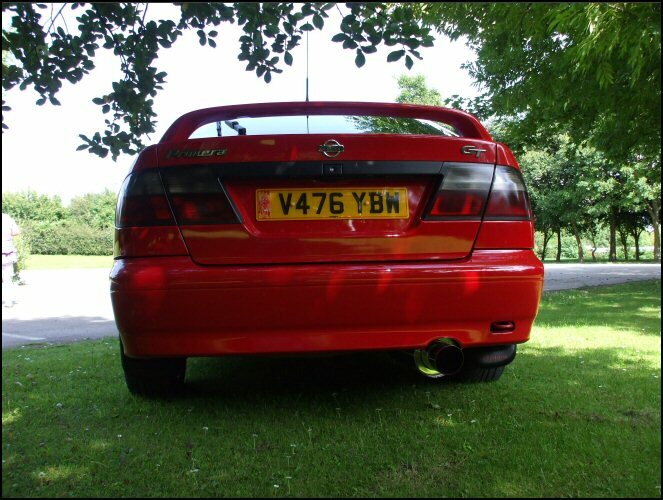 Last but not least, thanks to Paul (Quaily) for being a mate and keeping my 4" nice and shiny, cheers mate...! Congratulations once again to Vince!